Check out this great video interviewing the class valedictorian at the last graduation from Restore Leadership Academy in Gulu, Uganda. Help us grow this story to include many other students. Burning the midnight oil is not an option for theses students when you can’t afford the repeated purchase of oil or candles. Help the school purchase solar lanterns for students. Go to Light Success on Indigogo to donate today. This Friday is the last day to donate. Are you as fast as Muhammad Ali? We can’t all be as fast as Muhammad Ali, so help out, buy a lantern and light success! Success at school in northern Uganda, requires students to study long hours in the evening and at night. Restore Leadership Academy is set far from the main town center and outside the city power grid. This means they run a generator for a few hours each night to power lights, allowing students to study. If they want to continue studying late at night or early in the morning they need another source of light. Solar lanterns are a great solution for this problem. Each lantern costs 25,000 Ugandan shillings (approx. $10 USD) and we need 108. The money will go directly to the Restore Leadership Academy to purchase lanterns locally. Buying locally will eliminate shipping fees, as well as support local businesses. Even $5 will go a long way, $20, $50 or $100 will go even further. I have given us 60 days to raise the $1100. I think we can do this. In fact I think we will get it done before our deadline. Donate Now. Solar lanterns are a natural and common solution to unreliable power sources. A major academic hurdle for students is the amount of time they need to spend reading and studying. In Uganda it gets dark at 7pm. A solar lantern would allow students to deepen their understanding and comprehension by continuing their studies into the night. This increased time studying will directly increase their test scores, giving them more options when they finish secondary school. 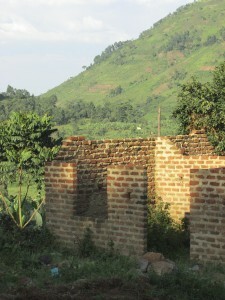 Learn more about the school and other ways you can help at www.restoreinternational.org. Pass on this link to your friends and family. Any extra funds collected will go to the school to help finish the new primary school building, dig wells onsite and provide other necessary items. Buy a lantern and light success!